In spite of its tremendous growth, Jewellery business faces bottlenecks in terms of growing trends and fashion among the new generation customers, unavailability of trained and skilled labour, lack of scientific approach and research facilities for cutting and polishing processes, fluctuating bullion rates, etc. The centuries old jewellery business is all about juggling around with multiple facets from wooing customers to micro sensitive inventory management to tedious outsourcing process. Following tax compliance processes is one another crucial area. It is impossible to take a balance in the absence of a system even for a small retailer then one could imagine in the shoes of a medium or large vendor. The same is with the case of jewellery manufacturers most of who operate in an unorganized manner. In a unique scenario here ornaments are traded for ornaments and metals. A small variation in purity would affect the profitability and reputation of the business. 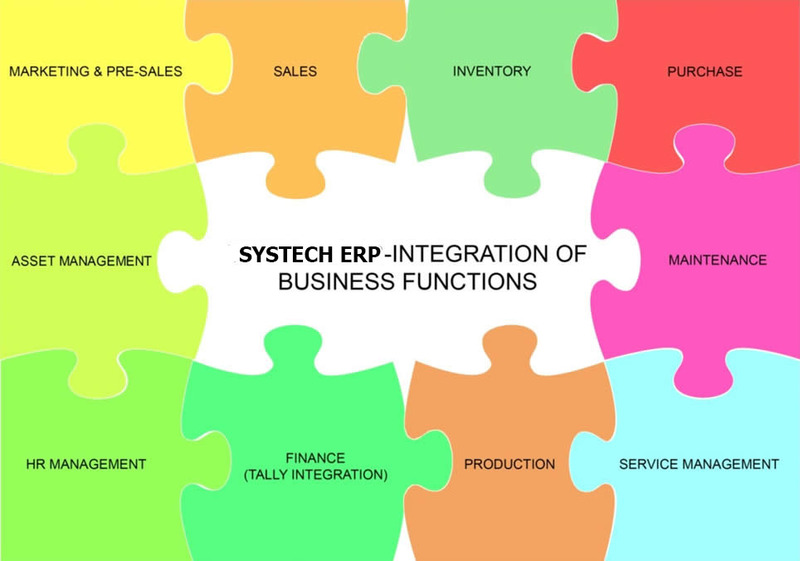 The Systech ERP Jewellery Automation System is a completely integrated ERP solution that puts everything on track. It has all for a retailer apart from whole-seller or a manufacturer. The Jewellery and diamond business has many areas that stand to benefit from our ERP solutions. We keep in mind those unique and critical processes to take care of while implementing the ERP. Those only with a proper road map will lead to the growth in business because of diverse challenges a Jeweler faces in material handling, inventory management and labeling systems. Most of our implementations so far have been for retailer and hence we shall discuss that here. We promise a good ROI in a short term because we systemize the way you work and harmonize your complex supply chain and customer service involved in Jewellery business. With the increase in exports and domestic demand, instantaneous access to real data such as procurement to production, lead to cash and concepts to products, has become critical for development. Customers are also expecting a quality product and higher customer service. Our Jewellery automation system first aims at impressing upon customers thereby raising the daily foot print fall. Marketing activities including SMS, email and direct mailer campaigns are initiated with measurable responses. You can do this by focusing any particular cross section of the market, as you have channelized in Systech ERP. Secondly it responds to the customer needs instantly by generating quote. With a clear break-up of weight, purity, stones, designs, wastage and making charges you see a flawless quote that is barcode-enabled. The customer also can place for customized orders that is captured in the system. Customer servicing is also managed with clear delivery date timelines. Third the versatility offered by the system to adopt to the unique transactions of this domain. Handling as many as 5 types of payment (old gold, sales return, advance, chit & cash) all against one sale is now effortless. Multiple BoMs based on purity values, counter management, multiple divisions & locations, wastage control, smith stock outstanding are some of the classic examples of nightmare later turned smooth. Fourth the innovation offered. Attaching images to stock item masters/designs, chit collection in the field using our mobile app with instant receipt prints, business analytics using multi dimensional dashboards keep us far ahead of the competition.